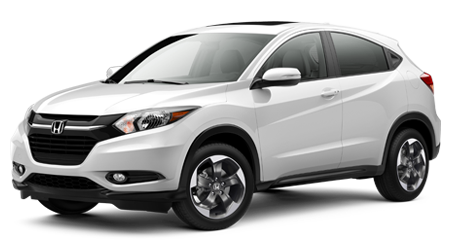 The 2018 Honda HR-V is the crossover designed to enhance your day and your drive. The lines of Honda's new compact SUV point you towards your next adventure. Driver convenience and versatility inform an interior that offers heated front seats and a touch-based Automatic Climate Control System. 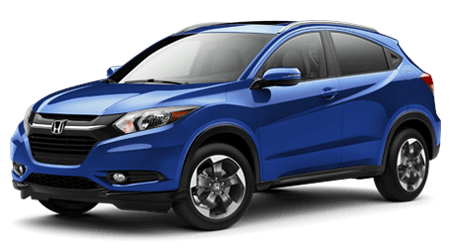 The 2018 HR-V is built on a platform that provides a spacious interior and a compact footprint. Under the hood sits an In-Line 4-Cylinder engine that boasts 141 horsepower. Throughout the model line, owners will enjoy such active safety features as Vehicle Stability Assist™ (VSA®) with Traction Control, Anti-Lock Braking System (ABS), and Electronic Brake Distribution (EBD). Behind the wheel, the Bluetooth® HandsFreeLink® and Bluetooth® Streaming Audio are some of the key comforts included with this new Honda crossover for sale. Unpack your next adventure while enjoying twenty-five miles-per-gallon in the city and thirty-three on the highway with the 6-Speed Manual Transmission. Introduce yourself to the new HR-V at one of our friendly Honda dealers today.